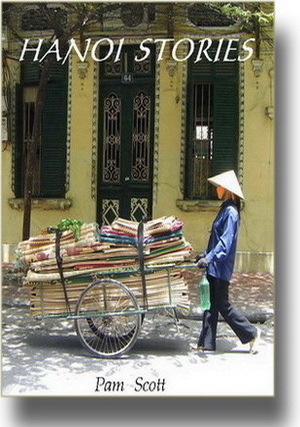 ﻿ An Australian woman who lived eight years in Hanoi tells how it is. Pam Scott lived in Hanoi for eight years and tells of the city she came to love. After three brief business trips in 1993, Pam Scott became enamoured of Vietnam's intriguing capital. In 1994 she made a permanent move, living and working there for the next eight years. What she discovered was more wonderful, interesting, and challenging than she could have ever imagined. She felt safe, unrestricted. And she found no coldness towards the West - only warmth, friendship, curiosity and openness. Pam involved herself in the lives of everyday Hanoians - cyclo drivers, shopkeepers, singers, dancers, doctors, noodle sellers, university students, teachers and company directors. She also opened Hanoi's first English language bookshop and, among other things, took singing lessons, went ballroom dancing, had her fortune told Hanoi-style, and ate some of the city's more exotic offerings.